Some features on the concept include an auto pilot function and an onboard 3D hologram avatar that helps with such things as traffic directions and en route shopping. TOKYO -- Toyota Motor Corp. President Akio Toyoda unveiled a "smartphone on wheels" concept car that he said portends a future of interconnected vehicles that are as customizable as cellphones. 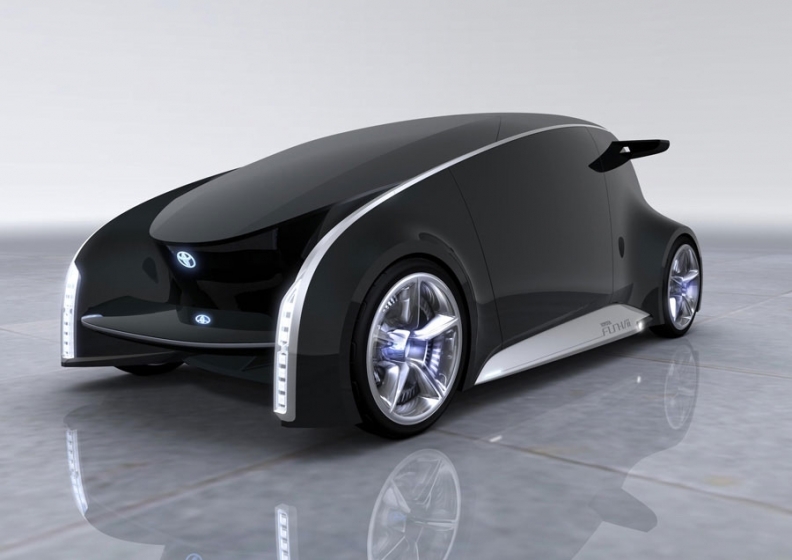 Dubbed the Fun-Vii, the car is a black, wedge-shaped obelisk whose entire outer skin is a video display screen. Toyoda previewed the car on Monday ahead of its public debut at this week's Tokyo Motor Show. "Some of you might have thought to yourselves: 'Is this really a car?'" Toyoda said. "It's like a smartphone on wheels." Drivers can customize the skin of the car to display anything from stock quotes and advertising to pictures downloaded from their mobile phones. He said the three-seat Fun-Vii aims to add a fourth dimension of interconnectivity to the traditional functions of driving, turning and stopping. Other features on the concept -- envisioned for what Toyota dubbed the year 20XX -- include an auto pilot function and an onboard 3D hologram avatar that helps with such things as traffic directions and en route shopping. And by linking with a smart grid outside the car, the Fun-Vii can help the driver avoid road hazards and keep them continuously connected with friends in other vehicles or at home. Toyoda tapped the keyword "Fun" for the model's name as a nod to the Toyota brand's new slogan in Japan: "Fun to drive, again." Said Toyoda: "If it's not fun, it's not a car."